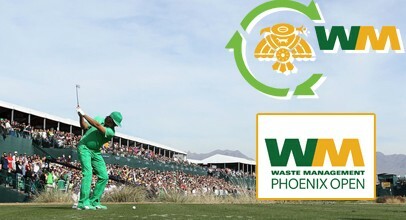 This week the PGA Tour heads over to Arizona for the Waste Management Phoenix Open. All the talk will be about the return of Tiger Woods although I don’t expect the fourteen time major winner to win on his return from injury. The Phoenix Open field is a very strong one and it features some extremely talented young players. The likes of Rickie Fowler, Jordan Spieth, Brooks Koepka and Patrick Reed are all in action. Jordan Spieth and Bubba Watson are the 16/1 favourites this week whilst Rickie Fowler and Matt Kuchar are not too far behind them in the betting at 23/1. Tiger Woods can be backed at 25/1 however I have no idea what kind of shape his game is in. Former winner Phil Mickelson is a tempting price at 28/1 although his game appeared a touch rusty last week therefore I’m not willing to back the American to win in Arizona. This week’s venue is TPC Scottsdale’s Stadium Course which has been the home of the Phoenix Open since 1987. 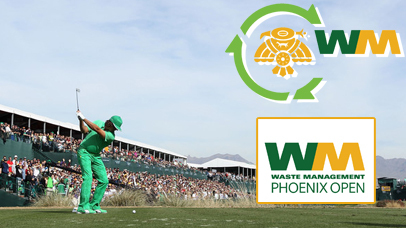 After last year’s Phoenix Open the Stadium Course undertook a major renovation which was handled by Tom Weiskopf. All of the greens and tee boxes have been resurfaced, six of the greens have been recontoured and 70 yards has been added to the courses length, consequently increasing the course yardage to 7216. The changes are expected to make the course more challenging for the players competing in the Phoenix Open this week. What does it take to win the Phoenix Open? Five of the last six winners were ranked inside the top 50 on the PGA Tour in terms of greens in regulation hit percentage in the year they won the event, the exception being Mark Wilson. It’s certainly worth noting that each of the last five winners all hit 77% or more of greens in regulation the week they won. To back this point up further each of the last five winners have been ranked 10th or better in terms of greens in regulation hit % in the week they won, this is an area I’ve focused on when placing my bets this week. Brooks Koepka – I think Koepka is a very fair price at 50/1 this week given how talented the young American is. Brooks had an excellent 2014, he started the season with a 3rd place finish in the Frys.com Open and went onto finish 4th in the US Open and 15th in the USPGA Championship later on in the year. He then opted to spend some time playing on the European Tour, Koepka recorded four top 15 finishes on the European Tour during 2014. This includes a victory in the Turkish Airlines Open in a world class field, thus showing what a talented golfer he is. This week’s course should suit Koepka, he hits a lot of greens in regulation and is more than capable of competing amongst some of the world’s best players. If he’s been practicing during the off season I think we’ll see him competing at the top of the leaderboard come Sunday. Nick Watney – Nick Watney is an excellent player, for five consecutive years he finished in the top 15 in the FedEx Cup, however 2014 was a disappointing season for the American although he did perform better towards the end of the season. Last week in the Humana Challenge Watney performed well and this play resulted in a 14th place finish. He was poor on the greens throughout the week and he may well have won the event had he of had a good week with the putter. Last week’s performance suggests to me that his game is in good shape therefore I’m happy to back him. Hitting greens in regulation around TPC Scottsdale’s Stadium course has proved to be crucial in this event and Watney has always ranked highly in this statistic. Despite a poor 2014 he ranked 32nd on the PGA Tour in terms of greens in regulation hit percentage and last week only 11 players hit more greens in regulation than Watney. Given that Nick has ranked well in the greens in regulation hit % statistic, it’s no surprise that he has good course form is good. Watney has played in this event on nine occasions and has only missed the cut once. His best performance around this course came in 2012 when he finished in 5th position and he also tied for 12th in 2009. Kevin Chappell – I was very surprised to see Kevin Chappell priced at 125/1, it’s a very generous price in my opinion. Over the years he’s proved to be a good player although he’s failed to get that elusive PGA Tour title. Chappell has come close to his first victory on a few occasions, he has finished 2nd and 3rd four times. Last season he proved he has the potential to win on the PGA Tour, Kevin recorded ten top 25 finishes. This includes a 13th place finish in the PGA Championship and a host of other good results. At the start of the 2015 season he tied for 8th in the McGladrey Classic and 13th in the CIMB Classic, thus once again showing that he is a very good golfer. Admittedly Chappell’s course form isn’t excellent, he missed the cut in this event last year however he did finish 24th in 2013 and I can see no reason why the course won’t suit his game. Hitting lots of greens in regulation has proved to be crucial and over the last couple of years Chappell has been very good from tee to green, last year he ranked 28th in terms of greens in regulation hit percentage.